Hope you are enjoying the first day of the week, I for one am not, sadly. First, I don't like Mondays they are way too stressful for me and secondly, I am not very well health wise today. Due to the recent bouts of rain, I am suffering from a viral infection. 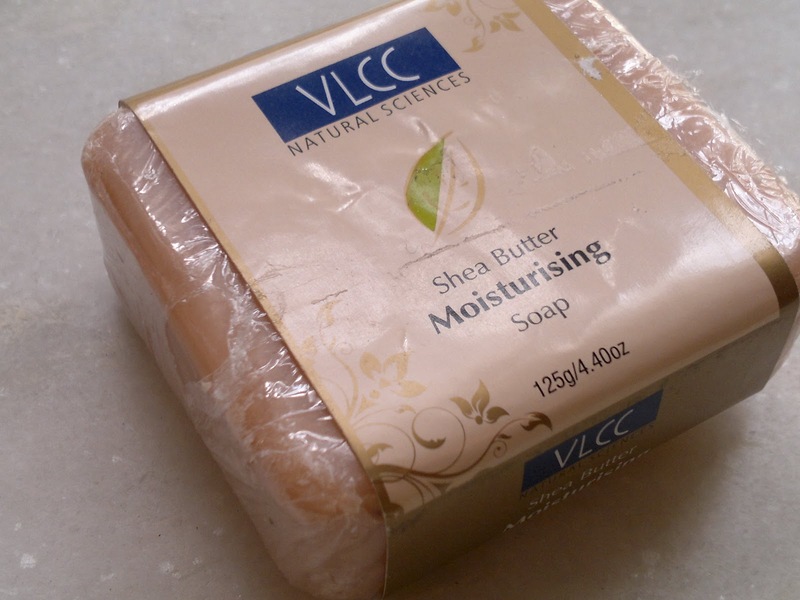 But, I am back with a review of one of my favorite products of recent times, VLCC shea butter soap. 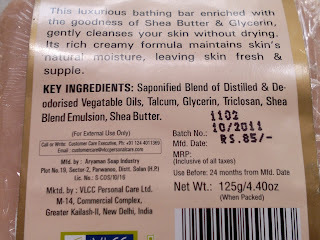 Price: INR 85 for 125 gm of the product, I got this free with a VLCC body lotion, which I purchased during winters. Packaged in a polyfilm with a paper wrap defining the ingredients and packaging details, very basic, nothing fancy. I didn't have too many expectations with this soap, but it has been more of a surprise, the soap lathers well, has a nice and soothing aroma, and didn't dry my skin overly as most soaps do, but was neither moisturizing like DOVE. I kind of like such soaps, also the aroma is very nice nothing fruity but like a creamy cake, not vanilla but something to remind you of a bakery. Might not be suited for winters though, as it is not very moisturizing but it would be good for summers. The smell doesn't stay for long and is gone within five minutes after shower. Product rating: B+, available at most VLCC outlets and online beauty shopping websites. Would recommend dry skinned beauties to try this out in summers, and oily skinned beauties in winters.